So versatile, it even takes your favorite cookie up a notch. Luscious avocados are a terrific way to bring flavor into dishes from soups to desserts, but did you know that in addition to tasting great they are also terrific for lowering cholesterol? 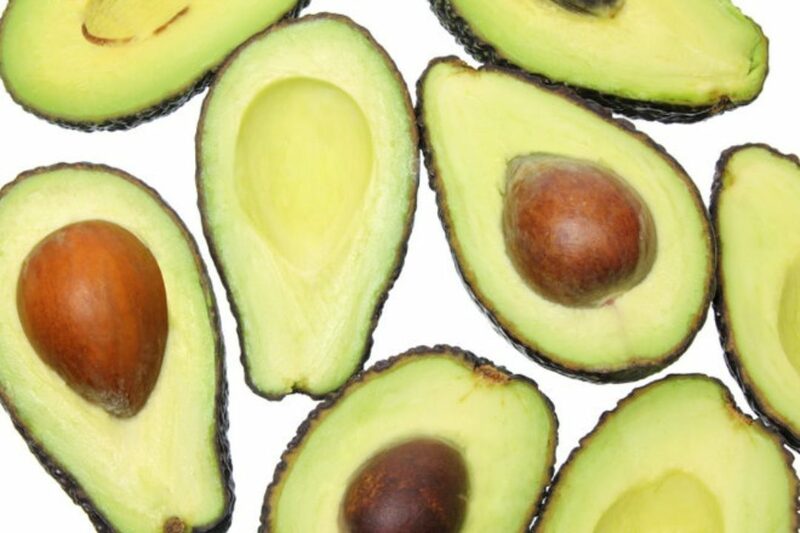 “If you’re worried about bad cholesterol (LDL), look to avocados and their high levels of oleic acid for help. One study found that regular consumption of oleic acid lowered LDL cholesterol by nearly 50 percent compared to a control group who ate mostly complex carbohydrates. Those who ate avocados also maintained high levels of good cholesterol (HDL),” says Robyn Webb, food editor of Diabetes Forecast magazine, a publication of the American Diabetes Association, and author of the upcoming book, The Diabetes Smart Shopper Cookbook (ADA). Debbie Koenig, the author of Parents Need to Eat Too, says that avocados lend a lovely creaminess to smoothies. “It is one of the few ways I can get my six-year-old to eat vegetables. Scoop out half an avocado and pop it in the blender with whatever else you’re using. My smoothies usually involve frozen fruit along with some yogurt and/or milk, but vegans can use a whole avocado and fruit juice instead.” She also uses ripe avocados to make summery chilled fruit soups. (recipe here). Mash an avocado with a little zesty chili powder and use as a sandwich spread instead of cream cheese. Add slices of avocado to an egg white omelet. Use a pitted avocado half to hold freshly made chicken or shrimp salad made with vinaigrette, not mayonnaise (scoop the salad right on top). Use chunks to top bean chili or freshly made tomato soup. Avocados pair well with coconut milk. Mix avocados, coconut milk, cilantro, and honey for a delicious cold soup. “One of my favorite ways to use avocado is for breakfast huevos rancheros. I top a corn tortilla with a fried egg, a little queso blanco, salsa, cilantro, and slices of fresh avocado,” says Kendra Bailey Morris, author of the upcoming book, The Southern Slow Cooker: Big-Flavor, Low-Fuss Recipes for Comfort Food Classics(Ten Speed Press, August 2013). She also uses it to prepare a special salad: fresh arugula with mandarin orange segments, walnuts, and avocado with balsamic dressing. “Oh, and I don’t want to forget—another great way to use them is in freshly grilled fish tacos (any white fish) on corn tortillas with grated cabbage and pico de gallo,” she adds. “Avocados are my favorite oil/butter substitute in baking recipes. My Lemon Lavender Chocolate Chip Cookie recipe uses a small avocado in place of all the oil. Just be sure to puree it in a blender or food processor so it’s smooth. The avocado keeps the cookies moist for days!” says Kathy Hester, of HealthySlowCooking.com, author of The Great Vegan Bean Book and The Vegan Slow Cooker. Culinary lavender and fresh lemon zest join up with chopped up chocolate chips to raise the flavor a notch or two. No one will know that there’s avocado in these cake-like cookies. But it’s standing in for the typical oil. I used white, whole wheat flour, but feel free to substitute whole wheat pastry flour or even unbleached flour. Combine the dry ingredients in a mixing bowl. Puree the wet ingredients in the food processor until smooth. Add the puree to the dry ingredients and mix to combine. Use a small cookie scoop to place the cookies on an ungreased baking sheet. Press down on the top of each cookie to make it look less like a macaroon and more like a delicate cookie. They don’t spread out as they bake. Bake for 10 to 15 minutes, until lightly browned. Let cool briefly on the baking sheet, then transfer to a wire rack to cool completely.